contact harvey@mkpiling.com for more information or forward CV. Piling contractor MK Piling (North West) has earned an enviable reputation in the UK construction industry. Piling professionals at MK Piling (North West) work in close partnership with structural engineers, architects and building contractors to provide unmatched piling knowledge for commercial, domestic and industrial building projects. Request a quote online now for your project. 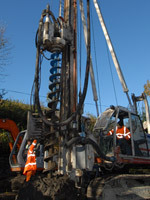 Our teams use the most advanced piling techniques and equipment available. Piling technology is our speciality and our forward-thinking approach has put us at the leading edge of the construction industry. 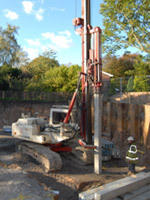 We also offer a range of additional services from piled underpinning, mini piling to pile testing. Call on us and piling is one part of the project you don't need to worry about. Our piling teams inspire total confidence and every project is backed by a 10 year guarantee.